The goal highlights the great contribution of the Italian Air Force in the fight against DAESH. Italian AMX aircraft deployed in Kuwait reach 6,000 flight hours. 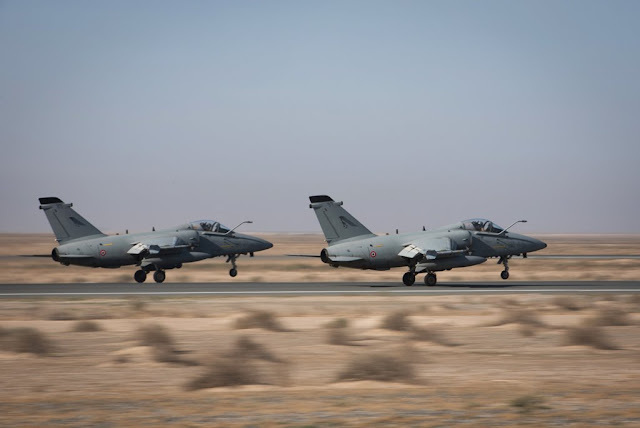 March 19, 2019 - Thanks to the flights made during the past week, the AMX aircraft deployed at the Al Jaber Air Base in Kuwait have reached 6,000 flight hours. The aircraft belong to the Black Cats Task Group, headed by the Italian National Contingent Command AIR (IT NCC Air), and operate within the International Inherent Resolve mission to support the Coalition Forces in the fight against DAESH. 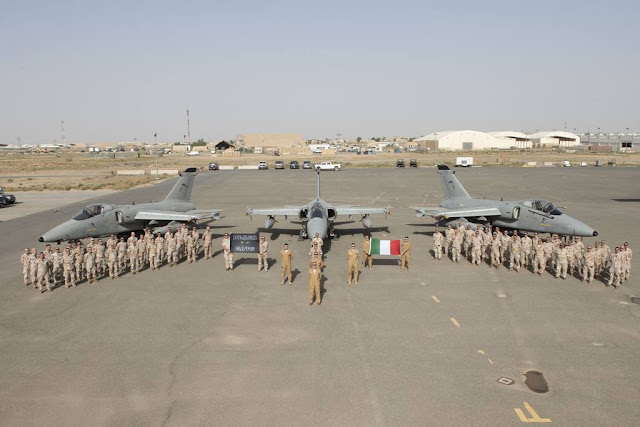 The important milestone reached by the Black Cats Task Group represents an important operational contribution of the Italian Air Force in the fight against Daesh. This goal was also achieved thanks to the support of all the ItAF units operating from Italy. 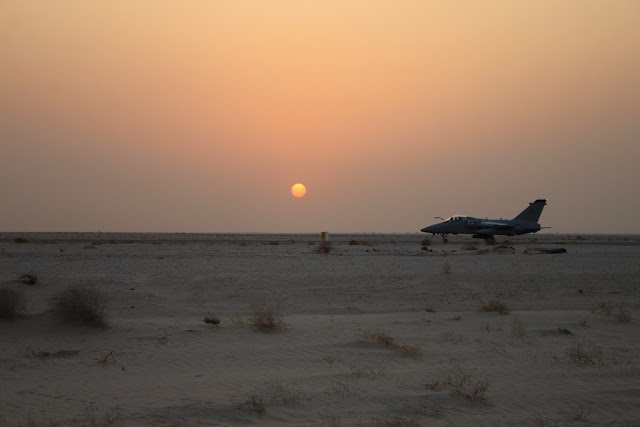 The Black Cats Task Group was reconstituted at the Ahmed Al Jaber Air Base in Kuwait on June 14, 2016, after the operational engagement in Afghanistan. It works in synergy with the other assets of the Coalition and includes 4 AMX aircraft equipped with an advanced reconnaissance system. Thanks to the RecceLite POD the aircraft can carry out reconnaissance on ground targets from medium to high altitude day and night. The effectiveness of the italian combat jet is also due to its reliability and low fuel consumption which allow, also thanks to air refueling, long periods of air coverage on the targets assigned by the Coalition. The ITNCC/TFA Kuwait was established on 17 October 2014, as part of the national operation "Prima Parthica" and multinational operation "Inherent Resolve" and guarantees the synergistic and coordinated use of the KC-767, Predator and AMX aircraft. The mission of the TFA Kuwait is to meet the air refueling needs of the coalition aircraft with its KC-767A tanker. In addition, it supports the definition of the coalition's Situation Awareness through the use of its AMX and Predator intelligence, surveillance and reconnaissance (ISR) assets. These produce high quality images which are analyzed by the I2MEC Intelligence Cell (Integrated Italian Multisensor Exploitation Cell) and provided to the coalition.